Russell J569M polos in Light Oxford and White, also, Fruit of the Loom SS112 short sleeved shirts in grey. 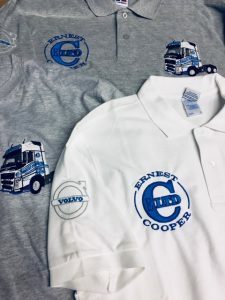 Ernest Cooper Transport in Pontefract totally understand the importance of promoting their brand, also standing out from their competitors. 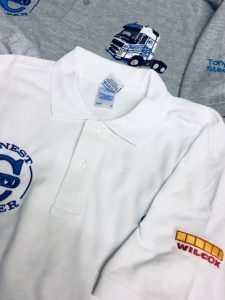 Embroidered truck logo to the front left chest. 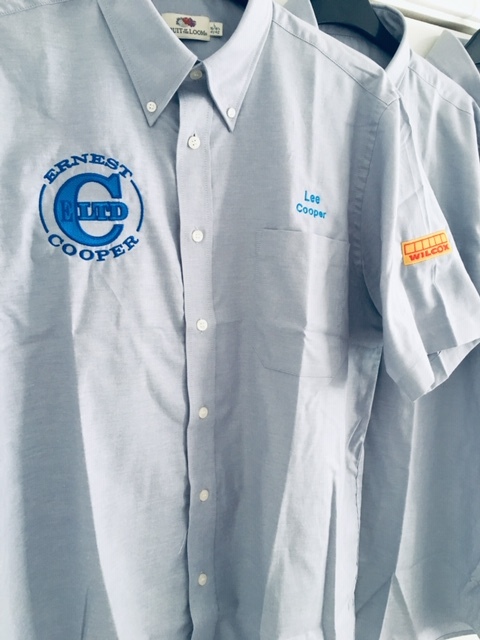 Embroidered company logo to the front right chest. Volvo logo to the right sleeve on the polo’s. Furthermore, individual name on the left sleeve. Finally, Wilcox logo on the right sleeve on the shirts.